This is my first mascara review post. 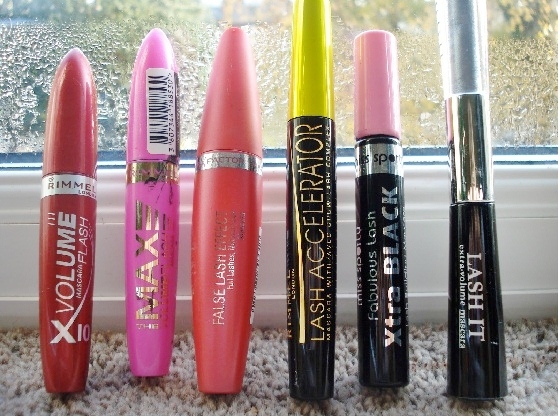 Mascara is my favourite beauty product and seeing as I have the biggest collection of mascaras EVER, I thought I would share with you a few of my favourites! Starting with Rimmel London's Max Volume Flash Mascara. The mascara was a real last minute grab whilst in the queue at Superdrug. It is the limited edition in pink (one of the reasons i bought it!) 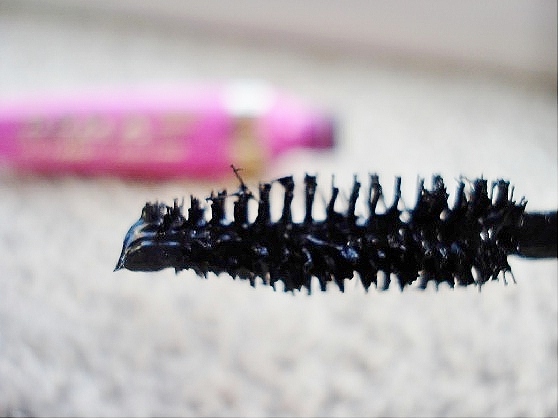 I think it's great if you like clumpy mascara, which I do, but it really does clump so if you like your mascara fairly sleek and neat then this is not for you! I love it though and I love the pink packaging, it's pretty! The wand is fairly pointed and the bristles are quite compact, hence the clumpiness effect, but again I like that about it. This may sound a little strange to say, but after a couple of coats it really looks like your wearing mascara! (Told you it was a weird thing to say, but bear with me...) Unlike a lot of mascaras which try to look fairly natural by offering a lengthening or more defined look, this mascara really knows how to make an impact. It is perfect for those long nights out and it's impact really does last the whole night through! The Rimmel London Max Volume Flash retails at £6.49 and is available from more drug stores! I would love to try this, but does Rimmel test on animals? Rimmel London are quite tricky about whether they test on animals or not... They did release a statement recently saying they don't. But I naively had just assumed that companies wouldn't do that anymore. Now that I've looked into it, I am quite shocked! Thanks for bringing this to my attention. I hate the idea of animal testing and will definitely be researching more carefully in the future.